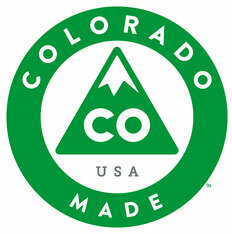 Hydro Massage Products serves vibrant, unique cities and communities in Colorado. Those listed below are some of the largest, with new cities added periodically. Colorado Springs is the state’s second-largest city, but it’s first in the hearts of many visitors as a place of spectacular beauty with dozens of family attractions, natural landmarks and unique museums. Tour Pikes Peak, ride the railway, or visit the Money Museum. After a day of play, you’ll need to relax. What better way than a Hydro Massage Products spa tub? Denver, the heart of Colorado, where 300 days of sunshine, a thriving cultural scene, diverse neighborhoods, and natural beauty combine for Colorado’s most spectacular playground. A young, active city at the base of the Colorado Rocky Mountains, Denver’s stunning architecture, award-winning dining and unparalleled views are all within the walking distance from the 16th Street pedestrian mall. Upscale shopping awaits in Cherry Creek, while Denver’s seven professional sports teams entertain year-round. And after all that excitement, you need a way to relax. Well think no further than Hydro Massage Products which combines the relaxation you crave with the latest technology. Aurora, just east of Denver, is Colorado’s third-largest city. Today, this city leads the nation in redevelopment, with the creation of new housing and recreational and technical-business plazas in and around the former airfields. The area also features three public reservoirs as well a number of parks. Aurora is home to seven public golf courses, a thriving arts scene, which complement the city’s vast array ethnic restaurants and markets. Aurora is also conveniently close to some of east Denver’s top attractions, including the Denver Zoo and the Museum of Nature & Science. At just 15 minutes away, Aurora is also conveniently close to the Denver International Airport. With all those activities in Aurora, you’ll need a place to relax after a long day. Check out Hydro Massage Products ultra-luxury jetted bathtubs. If you know snow, then you know Aspen, Colorado. With four world-class mountains within the area, Aspen boasts the most diverse selection of terrain and on-snow experiences. Snow not your thing? Aspen has local boutiques, high-end designers, and trendy retailers. There’s dining offering a full range of gourmet goodies, nightly hotspots, and daily hiking/biking excursion. Want to relax those sore muscles after enjoying all that Aspen has to offer? Check out Hydro Massage products, and those tired achy muscles will be no more!